When you open up a bottle of your favourite vintage, one of the highlights of the wine drinking tradition is to hear the discernible pop of the cork and you inhale the aromas of plums, grapes or violets that instantly invade the air; but wait, what’s that your nose detects – the rancid reek of mould? Yes, it’s true, when you open up corked wines; this is one thing you will have to deal with. In many ways, it becomes the spoiler in the otherwise pleasurable experience of opening a bottle of your favourite wine. The fact is that 3-5% of all bottles that have natural corks show a certain amount of spoilage; the villain being trichloroanisole (TCA). It’s a very complex chemical which gets formed from reactions that take place within the cork and are caused by natural moulds and chlorine bleach which is used in the manufacture of cork. Over the last decade, a number of cork substitutes have surfaced in the market. In fact, many notable wineries have also switched over completely to using synthetic corks. So, typically this should solve the problem, right? Unfortunately no – though the latest technology used in synthetic cork making has greatly improved the quality of the material; some persistent issues exist, especially with plastic corks. They are very difficult to pull and if you are planning on re-corking the bottle to put it back into the refrigerator, you will find that it’s even tougher to insert the cork into the neck. Some plastics are so dense, that you will find yourself flexing those biceps and forearms more than you would like to, while trying to open them with a two-pronged Ah-So. When you come to think of it, the only reason for using a substitute cork is to keep untouched the age-old ritual of pulling out the stopper from the wine bottle. This is why it becomes important to ask ourselves whether removing the cork is an essential aspect of the entire wine-drinking experience. If you set this pre-conceived notion aside, you will realise that it’s not difficult to get rid of this quandary altogether. The best closure for wine bottles has been around for a very long time. You require no tools, its airtight and easy to use and is very easily resealable; exactly what is this wonder device? – The modest screw cap of course! But wait a minute, don’t we all know that the slow and steady seeping of oxygen through the porous cork stopper helps wines age better & develop bottle bouquet? The truth is that particular myth has been ceremoniously debunked too. The screw cap is the ideal wine closure- there is no tainting, no oxidation whatsoever and no problems. Come to think of it, when screw caps can sit proudly atop the necks of rare and vintage Scotch bottles that can cost upwards of $200 a piece, there really is no reason why they can’t be used for moderately-priced wines. 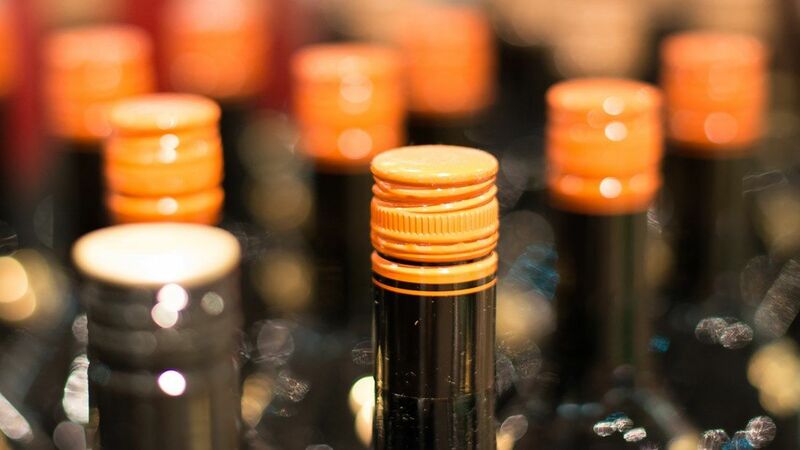 Today, even dozens of high-priced wines are using screw caps. Of course, there are the naysayers who will snub a fine wine if it has a screw cap and say that it does nothing for the wine with reference to aging, but their arguments are fast fading too. Another important fact to keep in mind is that a large percentage of red wine that is produced and sold in the market today is consumed within quite a short span of time from its release and purchase. As far as long-term wine storage is concerned, there have been no reports of any negative impact of screw caps on the wines themselves. With all these aspects taken into account, there really seems to be no difference between screw caps or corks when it comes to closing wine bottles. And of course, the one major advantage of the former, that can’t be overlooked is that you don’t have to unnecessarily flex those forearms while “popping”, sorry “unscrewing” a bottle of your favourite red!! For more information and the best wine cellar solutions, call Signature Cellars on 02 9340 7515 or use this contact form to get in touch with us. Our expert designers will work very closely with you and provide you solutions that match your requirements to perfection.